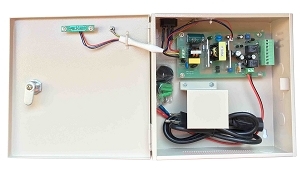 9 channel Power Supply Box SA-PE12V10A-9, mount kit, keys. 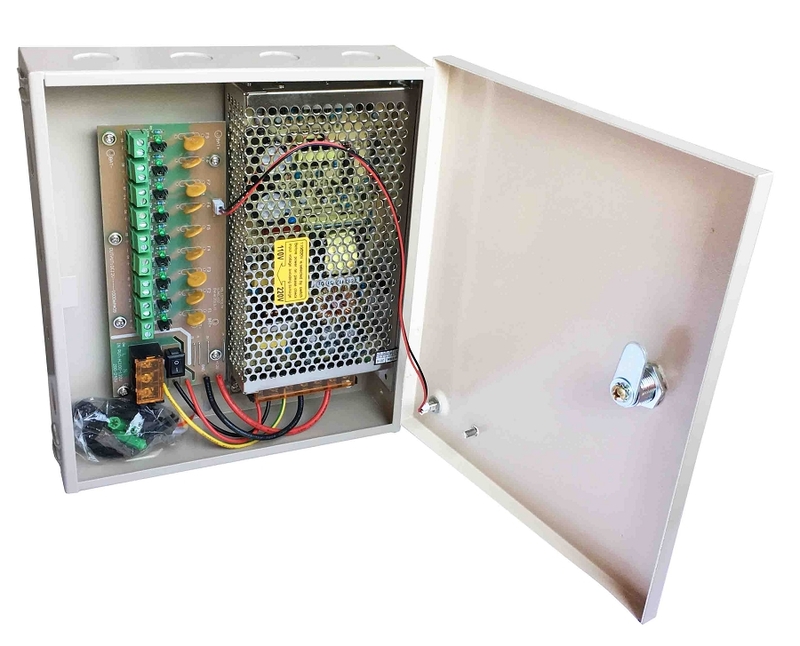 General Protection: each output has individual PTC fuse and LED indicator, when problem occurs, only affect the individual output, other outputs still working. Circuit Short Protection: when short condition occurs, individual PTC fuse will open the circuit, when condition removed, PTC fuse will automatically back to close. 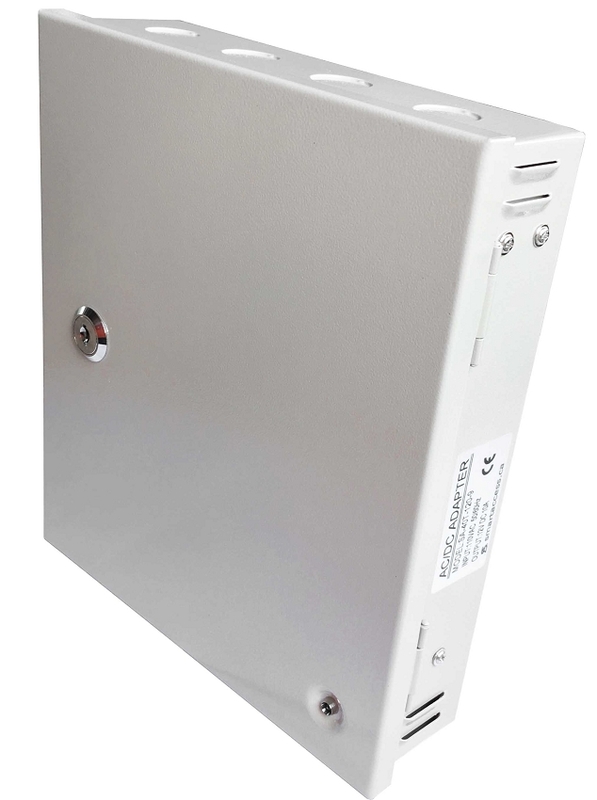 High Voltage Protection: when high voltage occurs, the surge protection will be hit through to protect the connected device. 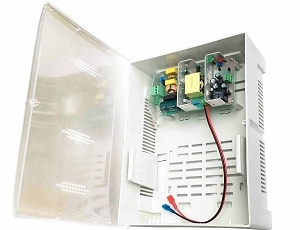 Over Current protection: when over current occurs, the power supply will automatically switch to self-protection status, when condition removed, then switch back to normal. 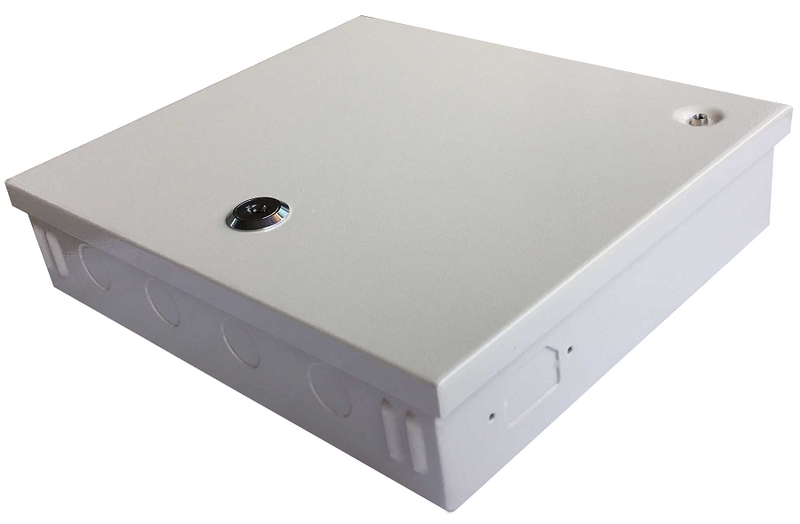 CCTV Camera, PTZ, IR Illuminators, Video Process Equipment,etc.Access Control Reader,Lock,Panel,etc. Use Guide: For indor, please check other firmware whether it is loose or not ,before using it. 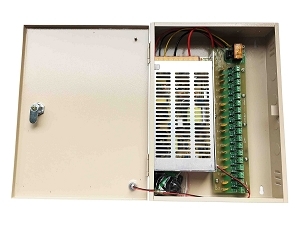 Must keep effective grounding Must keep "L，N" input line connected correctly,input voltage should be AC110V -- 220V.